If you’re like many families, one of the many gifts we give at Christmas time is a Christmas ornament. 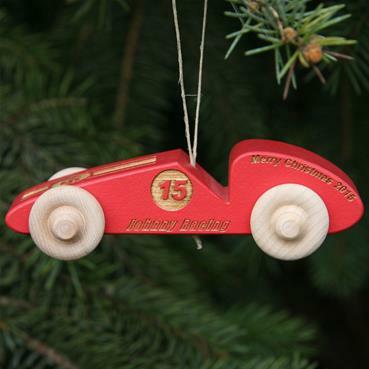 This Personalized Racecar Ornament is the perfect gift for race fans, boy scouts, auto mechanics or most everyone in the state of Indiana (Indianapolis 500). This is a great gift for a gift exchange or a white elephant gift. We personalize the ornament with the a name + Racing (johnny Racing), also engraved words “Merry Christmas” and the current year on both sides of the rear fender. The number on the side of the car represents the current year, but can be changed to any 2-digit number you prefer (2 digit year of birth, turned 16 & received drivers license). 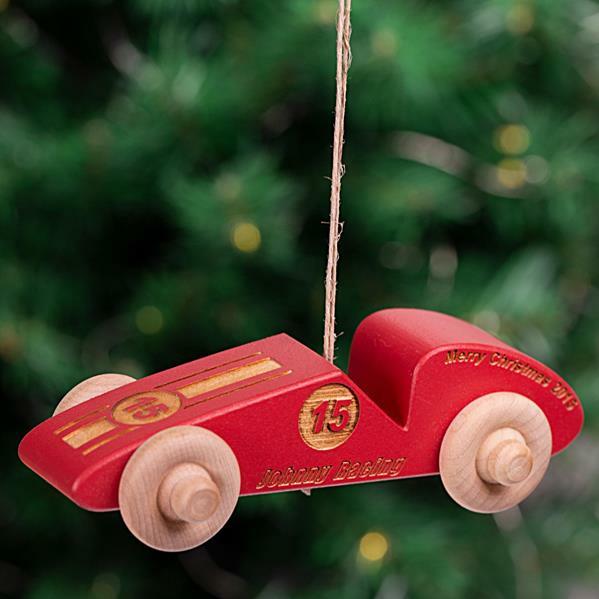 Now for the legal mumbo jumbo: This is an ornament, not a toy. Wheels are not functional. Number appears on top and sides inside circle.